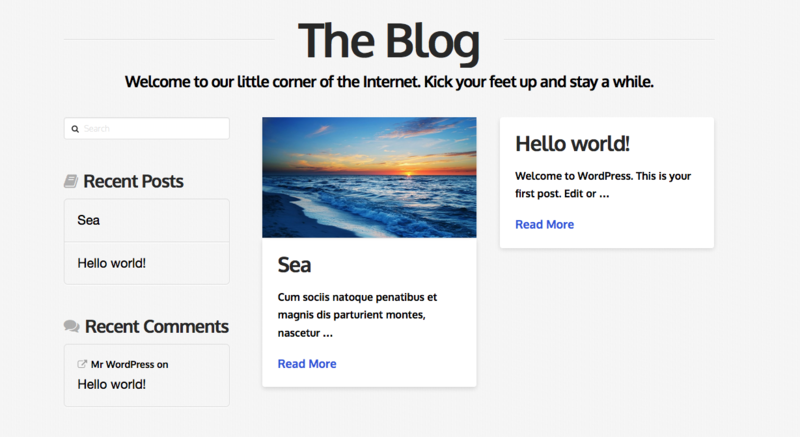 This article will cover the various options provided by the WordPress Customizer, for the blog. 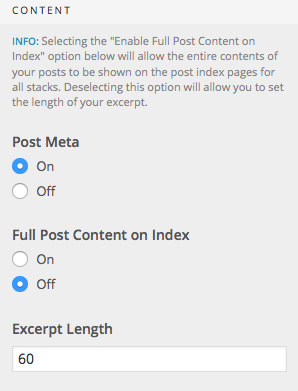 The following style options will only alter the main posts index page and not the archive or search results page etc. 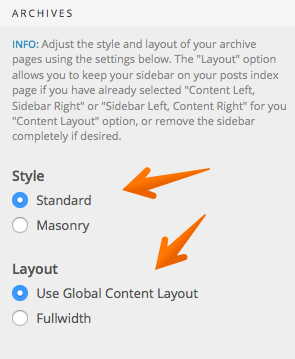 You can either choose Global Content Layout, this is what's set under Layout within the Customizer and if you have a sidebar selected there, such as sidebar right, content left, will display the blog like that. 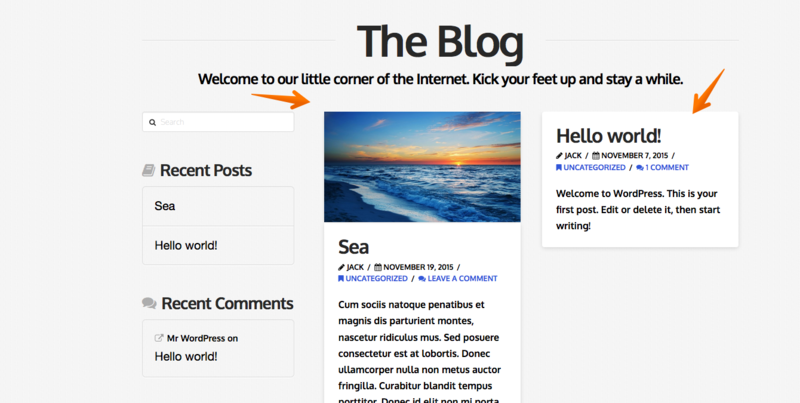 If you choose the Fullwidth option, you'll override the global content layout and the blog page will then display Fullwidth with no sidebar. There are the style options, both standard and Masonry, as explained above these work in exactly the same way, just that the choice here effects the archive pages, rather than the main index. 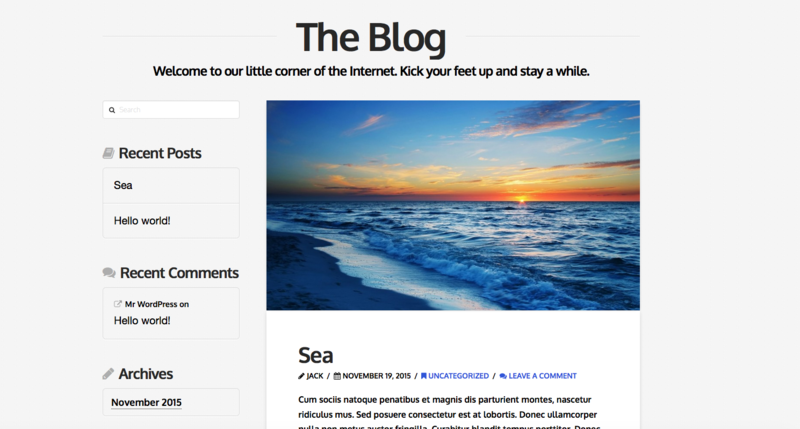 Standard shows the post one by one under each other and Masonry, shows the blog posts in a Masonry grid style display. 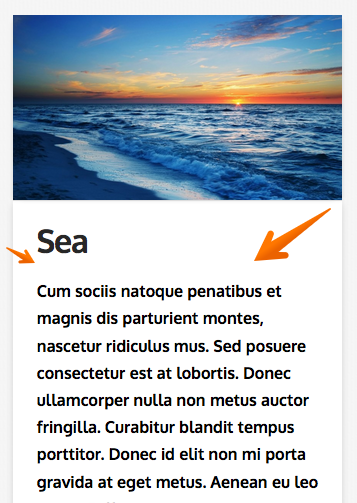 Then there's the layout options with either global content layout, which takes the styling and layout selected from Layout and Design, for example if in layout and design you have sidebar left, content right selected. 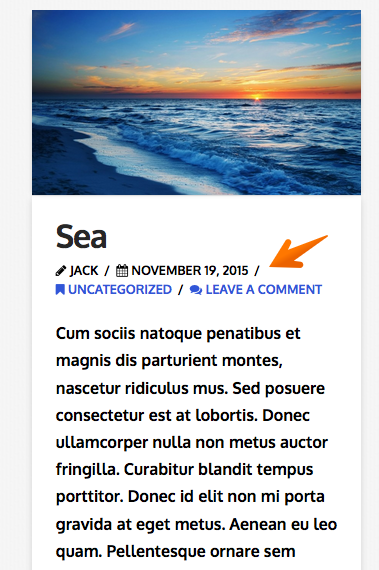 A sidebar will display on the archive pages. 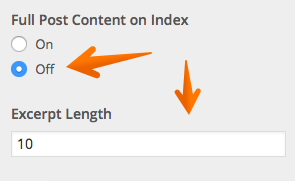 If you pick "Fullwidth option" that will override the global layout and design option and instead will display the archive pages with no sidebar. Congrats! After reading this article, you should now have a better understanding of the blog options provided by the WordPress Customizer.